There has clearly been an influx of vehicles from the ‘60s here at Prestige Imports, and we figured we’d continue to hang out in the decade. 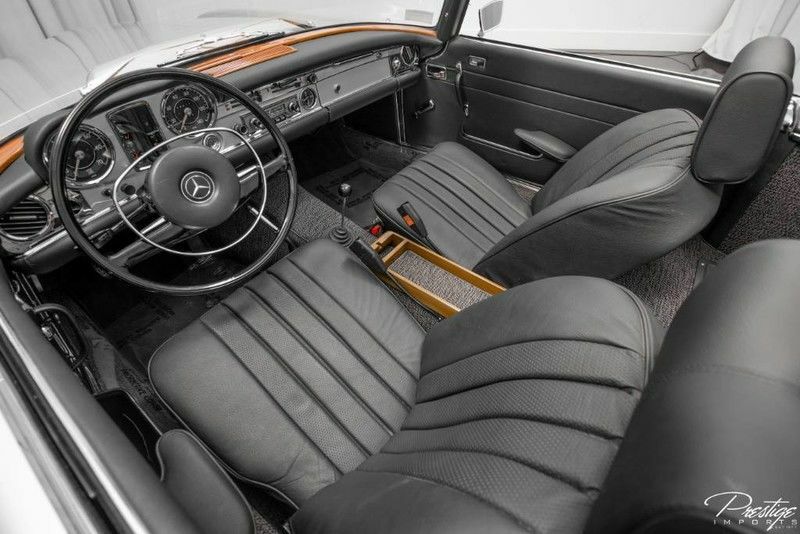 This time we are fast forwarding from ’62 to 1968 for a Mercedes-Benz 280SL Convertible that we have for sale right here in North Miami Beach FL. Unlike the Corvette we looked at last week, this convertible was the first of its kind, introduced in December of ’67, where it kicked off a five-year run of which to be proud. Much like that Corvette, though, you can tell that this beautiful icon has been utilized the way it was supposed to thanks to its odometer, which reads just south of 50,000 miles. The engine that those miles are on is a 2.8L V6 engine capable of generating 168 horsepower alongside 180 pound-feet of torque. 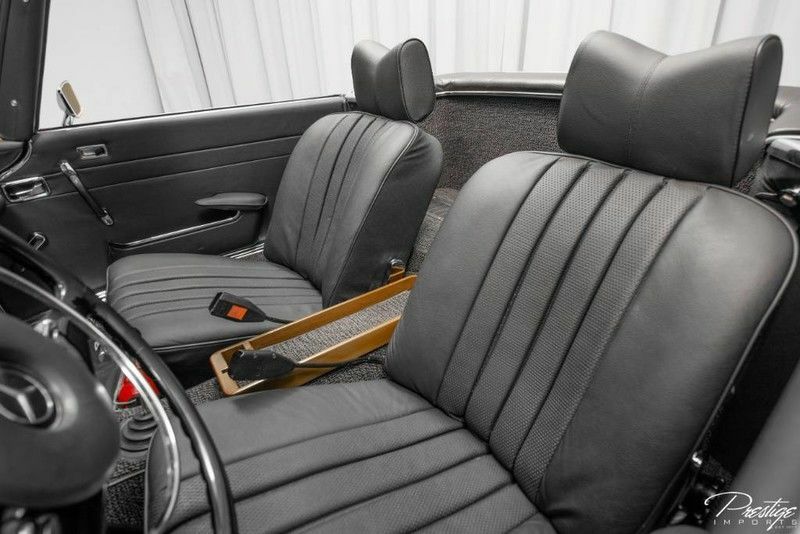 While the Corvette was very much a traditional muscle car, Mercedes-Benz was making a premium luxury convertible where power wasn’t quite as important. It was, however, packed with incredible features from bumper to bumper, many of which were unheard of four the time. Features include a 4-speed automatic transmission, air conditioning for those days when you don’t want to drop the top, sealed beam headlights and so much more. 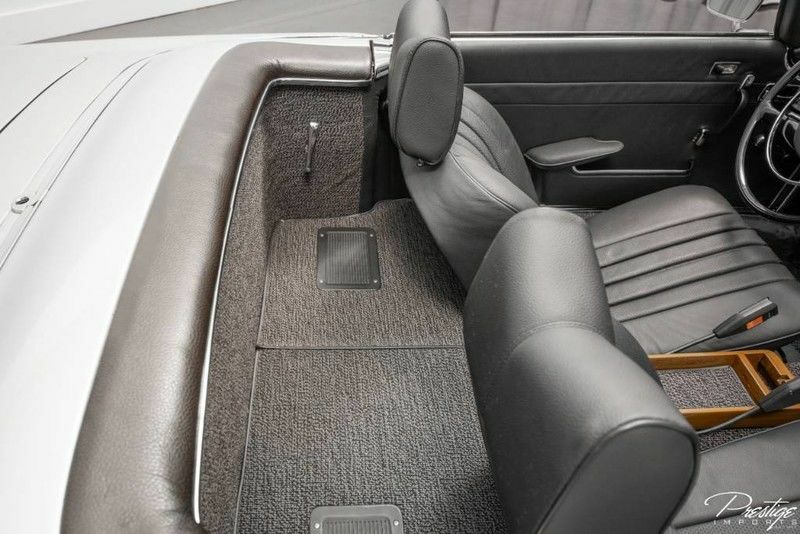 The best way to figure out everything you need to know about this Mercedes-Benz convertible is to simply come check it out for yourself right here in our showroom. Just give us a call with any questions or schedule a test drive right here on the website, and it’ll be ready for you when you get here. With a price tag of just under $100k, you know that this premium collector’s piece is well worth it. This entry was posted on Wednesday, November 28th, 2018 at 7:08 pm	and is filed under Mercedes-Benz. You can follow any responses to this entry through the RSS 2.0 feed. You can skip to the end and leave a response. Pinging is currently not allowed.